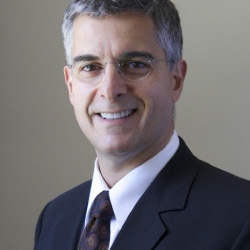 Founder of WELL HABIT WORLD, Wellschool, Wellschool Trainer, Wellcircle Trainer. Eva is at the heart of WELL HABIT WORLD. She’s a social entrepreneur who devotes her time and energy to developing the WELL HABIT WORLD. vision. Her Wellness journey started in 1984, as a frustrated physiotherapist treating entirely preventable injuries in the workplace. She saw how quickly health improved and injury rates declined when bad work habits were identified early. Working with wellness principles to improve body, mind and connection directly transformed the work culture and the personal lives of these individuals. Eva founded Wellschool as a response to this. She’s a qualified physiotherapist, teacher, environmental scientist, filmmaker and radio producer. 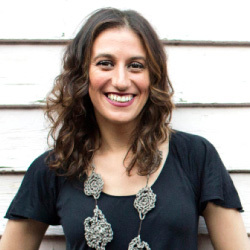 As well as this Eva lectures at RMIT University’s School of Health Sciences Master of Wellness program. She’s a Health Coach with Diabetes Victoria on the Life Program. She has been a fellow with the Centre for Sustainability Leadership, the School of Social Entrepreneurs and The Difference Incubator ‘Two Feet’ social business program. Kristine is awesome. She has been a Wellcircle facilitator for the pilot and subsequent Wellcircles and is part of the curriculum development team. She is a committed and passionate health professional with qualifications in Wellness Coaching, Naturopathy, Education and Natural Fertility Management, as well as extensive experience at a senior level in the corporate sector and small business management. By applying the principles of positive psychology, appreciative inquiry and motivational interviewing, she assist clients to explore the underlying causes and motivations behind their unhealthy behaviours & lifestyle choices and help them to set appropriate and achievable pathways to their health goals. Her areas of interest include chronic disease prevention and reversal, stress management and weight loss, with a strong interest in youth resilience coaching. Originally from Montreal, Nathalie completed her studies in developmental biology at the University of Toronto. After moving to Melbourne in 2005, she spent several years as a postdoctoral researcher at the Peter Mac. She was Project Officer in Training & Development at the Centre for Community Child Health at the Royal Childrens Hospital which allowed her to expand her work into projects with a public health and community focus. This shift also initiated her training as a meditation facilitator, teacher and wellbeing advocate to support those working in healthcare settings to self-care. Nathalie has trained as a facilitator of the Family Partnership Model in order to deepen her facilitation skills and support practitioners to be effective in their work with families, patients, clients and colleagues. Nathalie is interested in the power of partnerships as agents of cultural and practice change as well as in healing. She’s a state grade squash player, fluent in French and Hebrew, a bagel connoisseur and knows nothing about Australian Rules football. Clare is a wellness coach, consultant, researcher, trainer and all round advocate for this evolving movement in Australia. Among other degrees she is a graduate of RMIT’s Grad Dip in Wellness. Clare has worked in a variety of practice settings in the community sector from direct service provision, management, education and training. 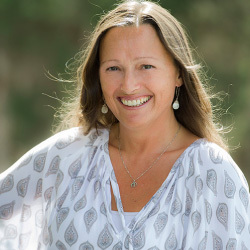 In particular Clare has had specialised experience and interest in non-clinical mental health, dual diagnosis, psychosocial rehabilitation and recovery practice. Combined with this professional experience, Clare has been influenced by her own young family’s health challenges and the exponential growth in chronic disease, stress-related health conditions, obesity, autoimmune conditions, such as diabetes and MS, autism (now 1:68 in Australia), ADHD, allergies and mental health conditions, particularly in children. 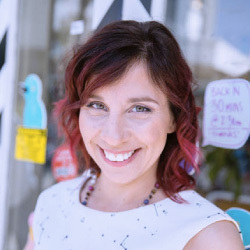 Her years of experience in ‘care practice’ settings and as a ‘practising wellness mum’ has been the foundation of her establishing www.wellpractice.com.au and joining Wellschool as her vision is to see wellness literacy and skills available for parents, children, teachers and other ‘care’ practitioners. Working at the Wellschool HQ since August 2016, Jo has a background in medical publishing where she worked as an editor for a leading medical journal. Prior to this she completed a PhD in biomechanics, a degree in Sports Therapy, and lectured at the University of Hertfordshire in the UK. Having spent the last two years travelling, she arrived at Wellschool to volunteer for one week, but can’t seem to leave! Inspired by the Wellschool vision, she’s been putting her editing and organisational skills to good use working on various projects including Wellcirlces, Wellness coaching for schools, and Wellness literacy for the YWCA Mentor-Mentee program. Ashley is a psychiatrist and neuroscientist and the Chief Scientific Officer of the Cooperative Research Centre for Mental Health. He is the recipient of numerous awards including the Schering-Plough Senior Research Award from the Australian College of Psychiatrists, and in 2011, the Australia Fellowship from the National Health and Medical Research Council (NHMRC). He is the most highly cited neuroscientist in Australia over the last 10 years, and in 2014 and 2015 was listed in the Thompson ISI list of The World’s Most Influential Scientific Minds. In less busy days he was a stand up comedian, a television screen writer, a composer & musician. He is father of four gorgeous children who keep him grounded. Daryl is a community development project worker, public health planner, participatory action researcher, and collaborative design and program evaluation consultant. He has worked as a general nurse on hospital wards and in emergency and trauma departments as well as in the community in community health and community mental health programs. 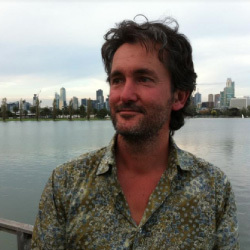 He has designed and led award-winning participatory and collaborative policy, program, project and action research process innovation in public health and health promotion, community well-being, community development and deliberative planning, indigenous reconciliation, the arts and community cultural development, volunteering and social inclusion and disaster preparedness and community regeneration. Daryl has tutored and taught in, and contributed to the development of, multi-disciplinary and trans-disciplinary undergraduate and post-graduate subjects. In 2011, he received the School for Social Entrepreneurs ‘Community Champion’ Award for contributions to community development and social innovation. Sharee is a registered Psychologist and full member of the Australian Psychological Society. She is also a Human Resources consultant. Sharee’s interests are in Organisational, Health and Counselling Psychology. She is the mother of three lovely teenagers who keep her on her toes. 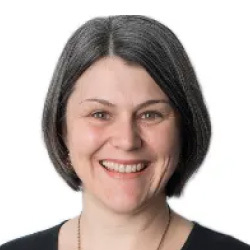 She has worked with government departments including DHS and VicRoads, in the public private sector with electricity and water companies, in private sector including the gas and oil industry, recreation industry and many others and in the not for profit sector through Uniting Care. 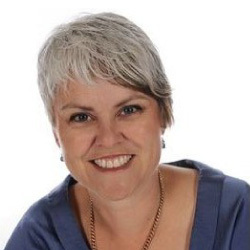 Sharee lives in Gippsland and runs her private practice across Gippsland and Melbourne working as executive coach, wellness coach, consultant and therapist. Mindfulness is at the heart of all of Sharee’s work, she is accredited with global company the Potential Project working with organisations to build a mindfulness culture and with the Leadership Circle. All of Sharee’s work is about growing personal awareness so that personal choice is an active experience in people’s lives, the key to experiencing wellness. 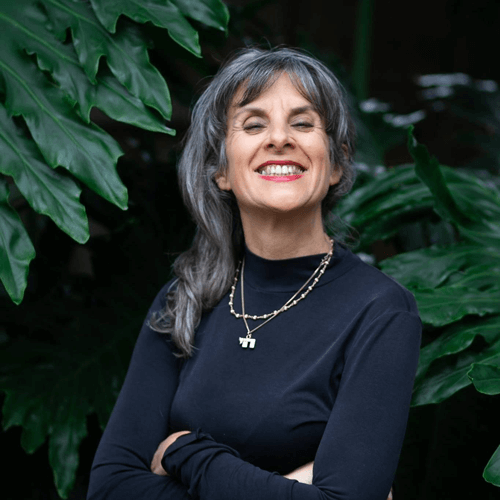 Sharee is also the founder of Good Practice Good Health Inc., a not for profit organisation established to build better communication between patients and their families and health professionals. Sharee aims to engender a sense of purpose and a feeling of hope with those she meets. Rather than our team just working together, we have also have a team of volunteers that live together. WELL HABIT WORLD is run from a co-living home in Melbourne, Australia where we do more than just talk wellness, we get to test out our principles every moment of every day. Our community attracts volunteers from all corners of our beautiful planet, and also includes our Airbnb ‘benefactors’ who pay for the joy of living within a wellness social enterprise experiment! We support and peer coach each other towards wellness in the same way our curriculum would. We also invite colleagues to come and work in our Co-living work community. Thank you to the many international volunteers whose curiosity, enthusiasm and awesome talent have built and designed our websites, as well as edited and written for our books and curriculum.